Optimal control theory of distributed parameter systems has been a very active field in recent years; however, very few books have been devoted to the studiy of computational algorithms for solving optimal control problems. For this rason the authors decided to write this book. Because the area is so broad, they confined themselves to optimal control problems involving first and second boundary-value problems of a linear second-order parabolic partial differential equation. However the techniques used are by no means restricted to these problems. They can be and in some cases already have been applied to problems involving other types of distributed parameter system. 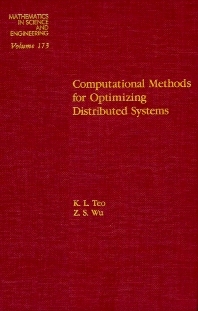 The authors aim is to devise computational algorithms for solving optimal control problems with particular emphasis on the mathematical theory underlying the algorithms. These algorithms are obtained by using a first-order strong variational method or gradient-type methods.